An American classic is now reborn – featuring 21st Century ballistic technology and the Hornady exclusive advantage provided by the patented Flex Tip design of the 30 caliber 110 grain FTX bullet. This design routinely delivers 15" of penetration in ballistic gelatin tests. 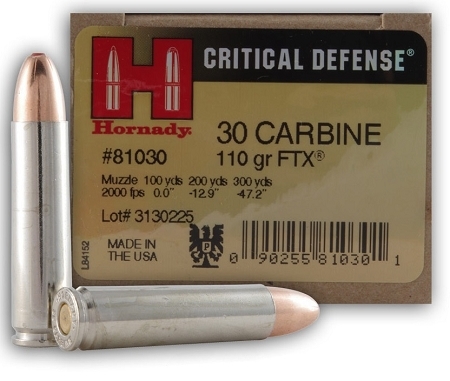 At 2000 fps, this Critical Defense offering redefines the performance of the storied M1 Carbine – DRAMATICALLY! FTX bullet delivers superior controlled expansion and large, deep wound cavities over a wide range of velocities. Clean burning and efficient propellants reduce recoil in lightweight handguns, and perform consistently at all temperatures. Silver nickel plating prevents corrosion and is easily visible in low light situations. 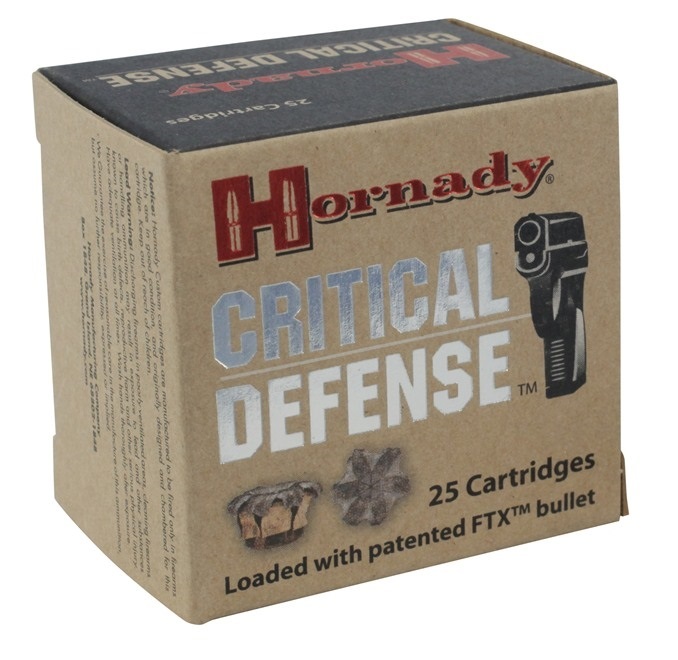 The most effective, consistent, and reliable concealed carry ammunition available today!